This "buck," or voltage reducing converter is designed to power devices requiring 1.5 volts from a 12 volt source, including battery powered devices that require one alkaline cell. They are also useful as OEM regulating power supplies when 4 to 25 volts is available, and a reduction in voltage to 1.5 volts is required. Inexpensive switchmode DC/DC converter stabilizes voltage in automotive applications. Also can be used to provide regulated voltage in other applications requiring 1.5 to 12 volt output from 8 to 30 volt input. 12v 1.5v converter dc dc. Step down voltage 6 volt. Regulated voltage reducer. 12 volt to 1.5 volt reducers. DC to DC voltage reducer. 12 volt to 1.55 volt divider. 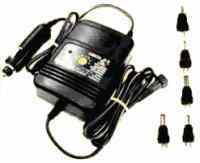 24 volt to 1.5 volt Power converter. How to convert 12 volts to 1.5 volts.